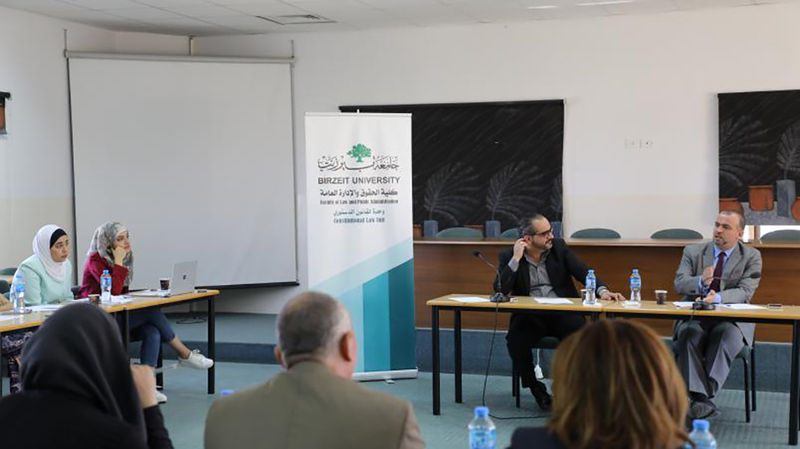 The Constitutional Law Unit in the Faculty of Law and Public Administration held a roundtable to discuss a position paper on “The Constitutional Court's Interpretation of the Term ‘Military Issue’ and the Nature of the Police Force and the Prosecution of its Members” on October 13, 2018. 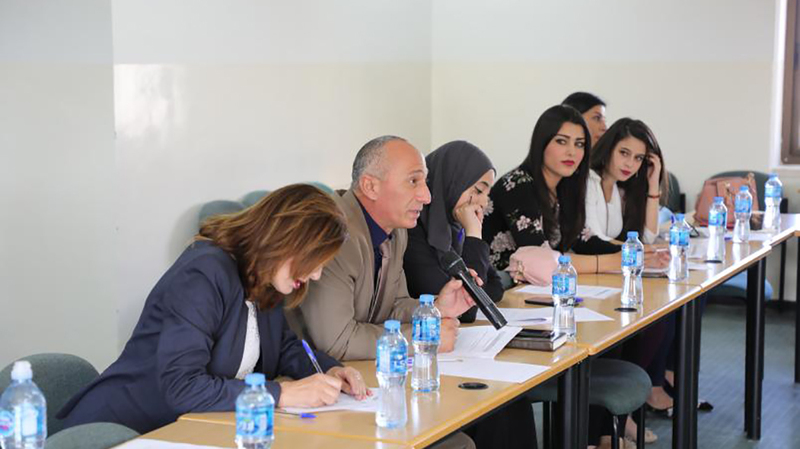 The paper analyzed the explanatory decision of the High Constitutional Court No. 02/2018 in response to the interpretation request for Article No. 48 and 101/2 written in the Palestinian Basic Law, in addition to Article No. 32/2017, which both consider the police a military organ, and give the military courts the competence to prosecute not only its members, but civilians as well. The paper concluded that the court erred in a number of key issues: militarizing the police, which is a violation of the Basic Law, as well as international and humanitarian law and best practices of states, including the Arab countries; expanding the powers of military courts to prosecute civilians; creating confusion between the rule of private and public laws, and restricting the authenticity of the regular judiciary courts.